I have an epic backlog of books read. Will you forgive me if I deal with them quickly and in one post? This book was delightful! Someone referenced it during a great conversation, and I knew it was something I had to read immediately. The themes were food, community, family, nourishment, and the ways they weave around each other. Since it has recipes, I’ll definitely keep it around for reference, and I’d also loan it out to friends assuming they return it to me quickly. It was better than I expected, but didn’t affect me enough to lose that association. This is probably a book that would benefit from closer reading and a good discussion, so I’m open to differing views! I bought this for a friend, and “borrowed” it before gifting. It’s a hybrid graphic novel, about a cat that runs away then returns, and owners who attach a GPS to the cat to figure out what happened. It was hilarious, and very sweet. I still haven’t given it to my friend, so if you want to borrow it, we could probably work something out. So. Wodehouse. Multiple people have told me I’d enjoy his books. And there are approximately eight million of them available for free on the kindle. I made the poor choice of starting with his very first. Don’t read it. Unless you are a man who went to British boarding school in the early 20th century, you won’t understand any of the jokes or references, and you’ll spend the whole book trying to find a reason to enjoy it. I nearly wrote off Wodehouse, but it was bedtime and I still wanted something to read when I finished that last book, so this time I went for one of the favorites. It was cute, but I was still judgmental and didn’t enjoy the ways he portrayed men as idiots and women as prizes to be won. Obviously, I don’t hate these books. I’ve learned his rhythms and find the short stories mildly entertaining. They’re also great for reading before bedtime. I HAD NEVER READ THIS BOOK! 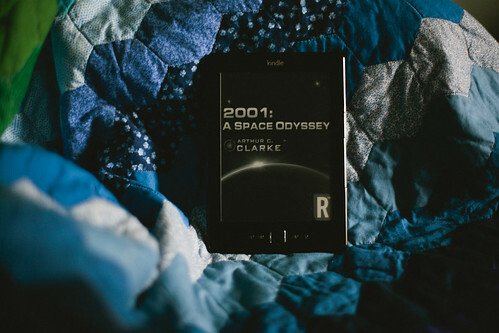 The most interesting discovery was that the book and the movie were created at approximately the same time, so Clarke and Kubrick influenced each other significantly. I will totally read this book again. It was tense and challenging and I couldn’t believe how much compassion I had for a computer! 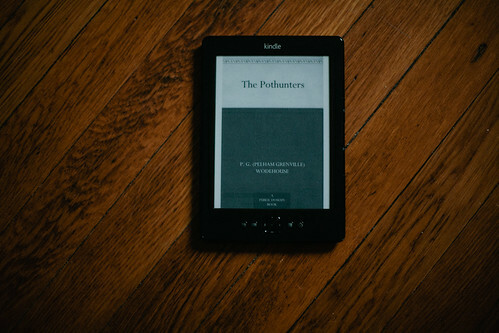 This might be the point when I discovered Project Gutenberg, and found a collection of classics available for free. I’ve never been excited enough to read this book to buy it, but I couldn’t pass it up for free. 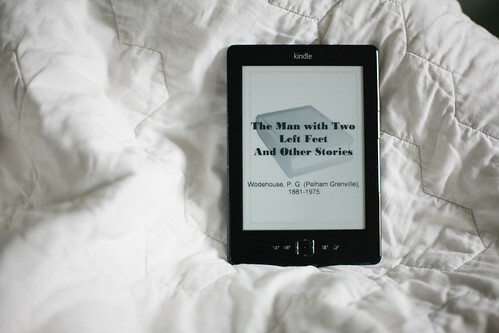 Every Wodehouse book I read is better, which either means that I’m starting to fall for him or I’m making better choices. This was loaned to me from a housemate, and since I’ve been wandering around the house with too much time off, I sat down and read it in one day. I LOVED THIS BOOK! Why are old science fiction books so compelling? I keep thinking about it, approaching from different angles. I heard that the Engineering School used to make their first year students read and discuss it, and now I want to audit that class. Friends, do you suggest I keep reading the rest of the books written with these characters? Do they decline in value? Will they take away from this story? 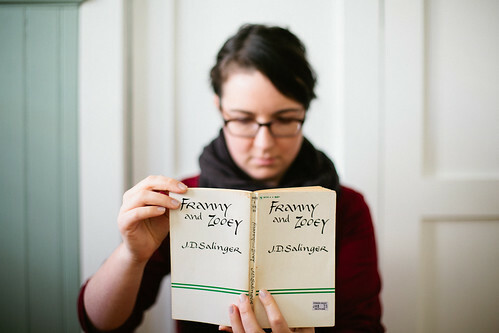 59 books finished in 2013! So many books. What are my plans for 2014? I don’t know. I’ll probably keep this up, if only because future me will appreciate having this as a reference. I might change the rules of the game a bit, to make it easier to keep up – this 10 book backlog nearly ended the project – or I might tighten them, and challenge my instinct to immediately start a new book once another is finished. The goal shouldn’t be rapid consumption of media, and it could easily move in that direction, especially if I try to beat this year’s number. 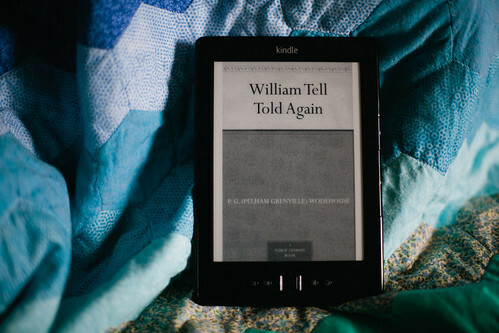 Do you have any suggestions for books to read this year? I have a hefty stack on hand, but my new-found love for Wendell Berry and Dorothy L. Sayers kept me busy last year – do you have any other authors to recommend? ← A bit of sparkle. 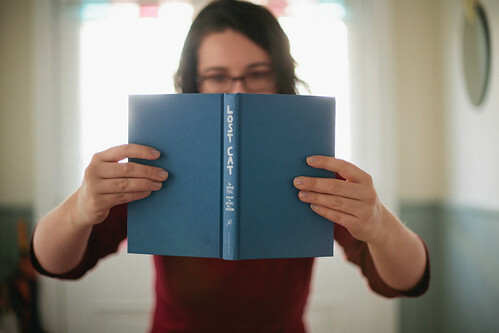 I’m sure you’ve heard Anne talking about the Rainbow Rowell books — they’re super (YA, mostly, ‘cept one). I love Maggie Stiefvater’s stand-alone “Scorpio Races” as well as the two (so far) books of the Raven Cycle. (they’re VERY different from her werewolf books (and better as well.)) I’m almost done with Melina Marchetta’s Lumatere Chronicles which are really great. My favorite book from last year was Jenni Fagan’s The Pantopticon but it’s SUPER dark and nasty, a bit hard to handle. 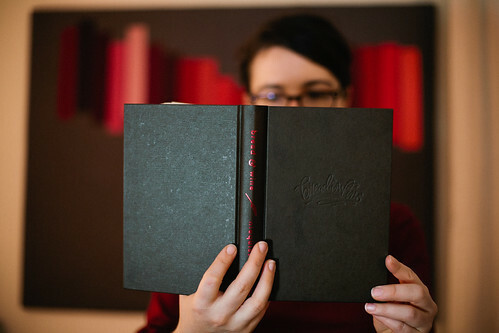 Less nasty but some nasty was Lauren Beukes “The Shining Girls.” Oh! A book I think you might really dig is The Golem and the Jinni by Helene Wecker. That one was a surprise to me. Also have you read any Rebecca Solnit? My dad’s been recommending her for years and I read her newest “The Faraway Nearby” and it also strikes me as something you’d like. OK THAT IS ALL BYE. Carolyn – I have heard of NONE OF THESE! So many options! Thanks for the recs! YAY YOU’RE WELCOME. :) Happy new year! I am so happy to virtually know you. ;) Heh. I say give Speaker for the Dead (sequel to Ender’s Game) a go. It’s very different – much broader strokes. It expands the story, and in so doing moves things forward redemptively. I read them both this year and liked them both a lot, but SftD the best. The third in the series is another story . . . forced and dull (at least the first quarter). I couldn’t finish it. Yay! 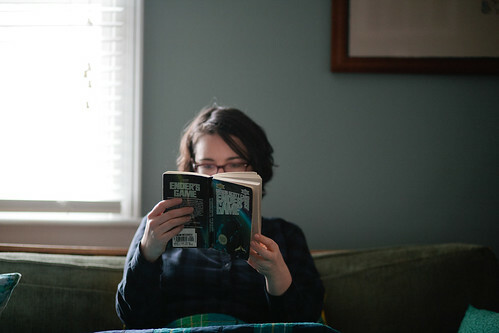 I love your reading pics. Congrats on finishing so many books this year! I second The Scorpio Races, I loved that one. So vivid but also understated. 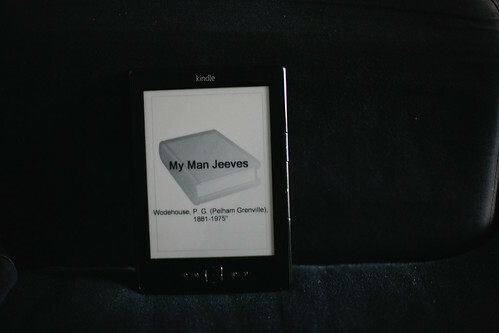 That’s good to know about Wodehouse–I have My Man Jeeves on my to-read list at the e-book library. So they’re okay to read out of order? 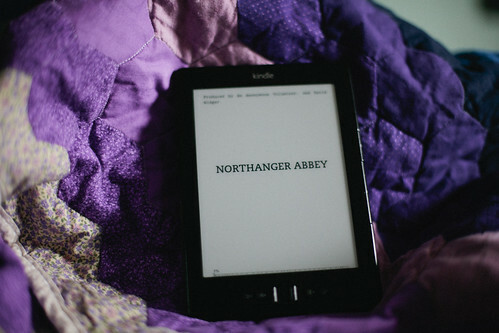 I have a thing about reading things in order. Also, have you read any of the Jasper Fforde books, namely the Thursday Next series? They are so fun and clever. The first one is called The Eyre Affair. I read Melina Marchetta’s Saving Francesca and really liked it. I still haven’t read Jellicoe Road by her, which many people rave about. And did you read Code Name Verity?? I bet you would love it! Wodehouse does take a little getting used to and probably easier if you watch a lot of British comedy or have seen some of his. I have read about half of them and you definitely do not need to read in order (in response to Julie). 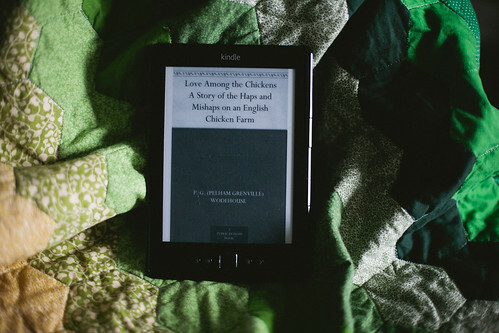 I like the contrast with the Kindle and the bright quilts.